Company Christmas Party at Magic world. 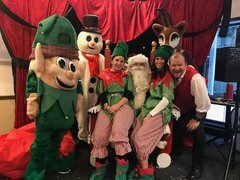 If you have a small company and need a place to have your next Kids Christmas party, Magic world is the place. We can hold up to 45 people. The Magical Christmas Party includes. 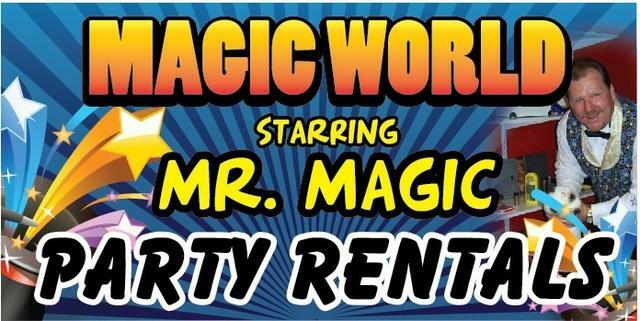 *Mr. Magic's Award winning Christmas Magic show- Live Doves, Rabbits, Music and special Effects are just a few of the great things in his show. *Santa Claus will come and you will be able to take pictures and hand out gifts that you provide. *Cassarole the Magic elf will face paint all the kids and make balloon animals for everyone. *Cotton candy, Popcorn, Cookies and Juice Boxes will be served in our Magical Party room. ( You can bring your own drinks and food if you would like. *We provide all the decorations including our giant santa chair. Whole families can sit on it and take pictures. *This is a 2 1/2 hour Christmas party for groups up to 45 people. Perfect for small Companies. Voted Best Party and entertainer 2017 and 2018.